CORAL GABLES, Fla. -- Offensive tackle Ereck Flowers was perhaps the centerpiece player at Miami's pro day on Wednesday, and his position drills drew a big crowd. NFL Media analyst Mike Mayock joined, among others, Oakland Raiders line coach Tom Cable, Indianapolis Colts line coach Joe Gilbert and San Diego Chargers line coach Joe D'Alessandris as interested observers. Mayock called Flowers (6-foot-6 1/4, 329 pounds) "a really gifted player" but also "incredibly raw." Flowers was a part-time starter at right tackle as a true freshman in 2012 before moving to the left side in 2013 and becoming a full-time starter. Some analysts see him as a better fit on the right side; that group includes Mayock, who sees Flowers as a potential "Pro Bowl right tackle." "He's going to go in the first round," Mayock said. Flowers looks to be the only UM "lock" in the first round. Wide receiver Phillip Dorsett, linebacker Denzel Perryman and running back Duke Johnson are potential second-rounders, and tight end Clive Walford could go in the second or third round. Speaking of Perryman, he tweaked his hamstring during his first 40-yard dash and sat out the rest of the day. He said he has upcoming visits with the Miami Dolphins, Atlanta Falcons and Carolina Panthers. Perryman measured 5-11 and 239 pounds Wednesday, and he is fond of saying that while he might be short, he is not small. Perryman spent part of the day Wednesday talking with former NFL star linebacker Jonathan Vilma. Like Perryman, Vilma is an alum of Coral Gables High and UM, and also was criticized by some for his lack of size. Vilma was listed at 6-1 during his playing days and said his weight usually was in the mid-230s. He said he is a Perryman fan: "He is a tremendous tackler. And there's a violence when he plays." As for Perryman's perceived lack of height, Vilma shrugged it off and praised his instincts. Vilma said football instincts are "undervalued because it's not a measurable." Vilma also said he shrugged off his own supposed lack of height, saying his mantra when he played was, "I may be small but I play big." 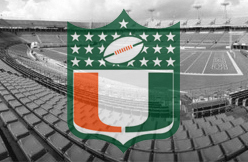 ESPN NFL Nation's James Walker reports that Miami TE Clive Walford plans to meet with the Steelers' brass on Wednesday "and will meet with the Dolphins and other teams before the draft." The Miami prospect flashes decent athletic traits with the ability to be effective in both, the running game and the passing game. 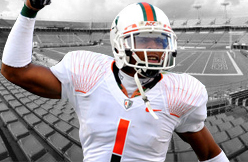 As as pass catcher, Walford has recorded 121 receptions and 14 touchdowns in his time with the Hurricanes. The 6-foot-4, 258-pounder will be targeted by teams looking for a versatile pass catching TE who isn't afraid to get his hands dirty blocking. Walford has the kind of skill set that should cause mismatches in the red-zone, and should be off the board in the second round of the draft. The fourth man involved in the slaying of former University of Miami football star Sean Taylor will serve 30 years in prison. Charles Wardlow pleaded guilty Wednesday, eight years after he and four other young men from Fort Myers broke into Taylor’s Palmetto Bay home, fatally shooting the pro safety during a botched burglary that stunned the sports world. Wednesday’s plea deal means only one defendant, Timmy Brown, who is Wardlow’s cousin, still awaits trial. “Four down, one to go,” said Taylor’s father, Pedro Taylor, the Florida City Police Chief. His son would have celebrated his 32rd birthday on Wednesday. 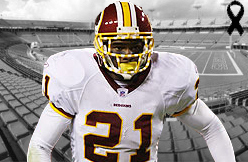 Considered a homegrown sports hero, Taylor starred at the University of Miami and played for the Washington Redskins at the time of his death. Taylor’s unexpected killing shook the team and the National Football League – over 3,000 attended people attended his memorial. Prosecutors say Wardlow was one of the five young men who believed that Taylor kept a sizable stash of money inside his home. The group believed Taylor was with the team – but he was actually home rehabbing an injured knee. Using a crowbar, Wardlow broke into a door and the group eventually made its way to the master bedroom. They kicked in the door only to met by Taylor wielding a machete. His girlfriend and their young daughter were inside the room too. Prosecutors said Eric Rivera, then 17, shot and mortally wounded Taylor with a single bullet to the leg. Rivera went to trial, lost and last year was sentenced to nearly 60 years behind bars. The burglary mastermind, Jason Mitchell, also opted for trial and lost. Last year, Circuit Judge Dennis Murphy sentenced him to life in prison. Several years ago, Venjah Hunte pleaded guilty and agreed to testify against the others. Prosecutors, however, never called him to testify. He will serve 29 years in prison. Wardlow confessed to police. On Tuesday, he gave a formal statement to prosecutors outlining what happened. One day later, he pleaded guilty to second-degree murder. Under Florida law, anyone who participates in certain felonies – in this case, armed burglary – that results in a death can be charged with murder. Had he gone to trial and lost, the 25-year-old faced a mandatory term of life in prison. Miami T Ereck Flowers "shows good instincts as a pass blocker, but admits he enjoys run blocking and that is evident in his play," noted CBS Sports' Frank Cooney. "If his knee is OK, the only problems he may have will be against elite speed rushers -- same as even the best tackles in the league," Cooney wrote. "If doctors give Flowers clearance, some teams may be willing to call his name in the middle of the first round." We aren't aware of any leaguewide concern regarding the knee. Flowers feels he's ready for the next level. "We run the zone block in Miami, we run man, that's what Miami does and I think that's why Miami's been successful in the NFL," Flowers said. "Our coaches do a good job emulating the stuff they're doing in the NFL and college so we ran man, zone so I'll be fine wherever I go." He told reporters at UM’s Pro Day on Wednesday that he’s up to 225 pounds after playing at 218 pounds last year. A seven-pound gain might not seem that significant, but it is for a running back. Miller is known for his speed, not his power. Coach Joe Philbin and offensive coordinator Bill Lazor rarely gave Miller more than 15 carries a game last season. The Dolphins tried pairing Miller with a power back in 2014, but injuries limited to Knowshon Moreno to just one full game. Even without Moreno in the picture, Miller’s carries were still limited. This year, Miami is believed to be looking for another strong No. 2 back. Miller clearly wants to get the bulk of the carries. But it is a smart idea to alter his body? Not necessarily. Former Dolphins running back Troy Stradford, now an analyst for the Finsiders, said the concern is whether Miller will retain his greatest strength. “Did he keep his football speed?” Stradford said. Stradford, the NFL’s offensive rookie of the year in 1987, said he bulked up one season and hated the results. He dropped the weight the following season. It’s unclear if the Dolphins asked Miller to gain weight or if he did it on his own, but Stradford said he more than likely would have made the decision himself. It does, however, raise the question of whether Miami should pair Miller with a power or speed back. The prevailing logic is that Miami should go the traditional route and add a power back who could help the Dolphins with their red zone woes. They worked out Stevan Ridley earlier this week and haven’t ruled out bringing back oft-injured Moreno. It’s also a deep draft class for running back. The Dolphins could instead consider adding another speedster and creating one of the NFL’s most dynamic playmaking backfields. Teams rarely pair two speed backs. Last season, Philadelphia featured LeSean McCoy and Darren Sproles — an exception to the rule. The Eagles, of course, are coached by Chip Kelly. And Lazor studied under Kelly in 2013, so he might be intrigued by the idea of two speed backs. While the Dolphins have other needs in the draft and are already without a third round pick, University of Miami’s Duke Johnson comes to mind. Like most UM stars, he loves the idea of playing for the Dolphins. And he’s been linked to them in the offseason. Would the Dolphins be better off with another speed back or adding more power to the backfield? “That’s the million dollar question,” Stradford said. And there’s no clear answer. The Dolphins still have Damien Williams, who plays with power and showed promise as an undrafted rookie last year. But Miami will likely try to bring in another back who will at least compete with Williams. 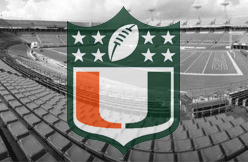 The Pittsburgh Steelers are searching for Heath Miller's eventual replacement, and the University of Miami (FL) tight end Clive Walford is someone they have their eye on. Head coach Mike Tomlin and GM Kevin Colbert were both on hand for the Hurricanes' pro day Wednesday and interviewed the tight end following his workout. Walford delcared himself as "the best tight end in the draft" while interviewed at the NFL Scouting Combine, and his workout certainly helped bolster such an opinion. For Walford's size (6-foot 4-inches, 251 pounds) he moves extremely well. Walford ran a 4.79 40-yard dash at the combine, and is considered one of the better two-way tight ends coming out of the 2015 NFL Draft in terms of pass catching and blocking abilities. Walford caught 44 passes for 676 yards and 7 touchdowns in 2014 for Miami and was a Mackey Award finalist for the best tight end in college football. The Steelers drafted Rob Blanchflower in 2014, and the rookie spent the year on the practice squad, but the team isn't deep at the tight end position. Other than Miller and Blanchflower, the team re-signed Matt Spaeth to a two-year contract, and the only other tight end on the roster is Michael Egnew who has limited NFL experience. Experts are projecting Walford to possibly be drafted as early as the second round. With the Steelers having glaring deficiencies on the defensive side of the ball, taking a tight end in the second round would certainly come with a great deal of criticism. The sight of former Hurricanes greats on Miami’s campus has become somewhat routine. And plenty of them were there again Wednesday for Miami's Pro Day. But even by UM’s standards, Wednesday’s parade of former Miami standouts was noticeable, especially for fans of running backs. 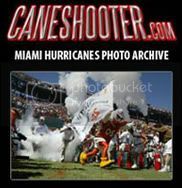 As Duke Johnson, the Hurricanes’ all-time leading rusher worked out for the 32 NFL teams that attended Pro Day on the Greentree Practice Field, he did so under the watchful eyes of Edgerrin James, Clinton Portis and Frank Gore, three of the players he passed in the UM record book. After his workout, Johnson said that having the opportunity to show off his skills in front of players like those is part of what drove him, not just Wednesday but throughout his UM career. 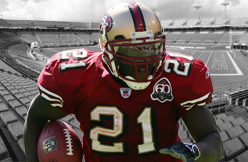 And Gore, who signed with Indianapolis last month after a lengthy career in San Francisco that saw him become the 49ers all-time leading rusher, said there’s one big reason former players were in Coral Gables on Wednesday. Gore then praised Johnson’s effort, saying he thinks the former Miami Norland star can be the next great Miami running back in the NFL. CORAL GABLES, Fla. -- Scouts, coaches and general managers representing all 32 teams were in attendance for the University of Miami's pro day on Wednesday. However, two of the big names people came to see -- linebacker Denzel Perryman and tight end Clive Walford -- were limited for different reasons. Perryman suffered a leg injury during his second 40-yard dash attempt and that knocked him out of the remainder of drills. Walford did only receiving drills after suffering a recent hamstring injury. However, both players did well in their limited time. Walford caught the football well and showed a glimpse of why some scouts think he's the top tight end in the draft. Perryman improved on his 40 time from the NFL combine. The linebacker said he ran an official 4.56 on his first attempt before the injury and did 30 reps of 225 pounds. "Yeah, it's real disappointing," Perryman said of the injury. "But a lot of people just wanted to see what I can run, and I feel I accomplished that today and answered a lot of questions." Walford said he thought about running the 40-yard dash despite not being 100 percent because of all the NFL representation on campus today. But he ultimately decided against it and caught passes. Walford is confident he will do well at the next level. "We produce great tight ends," Walford said of the Hurricanes. "And we got great ones to come." Both Perryman and Walford are projected to be second-round picks with the potential to climb to the bottom of the first round with good workouts and interviews. The Miami Dolphins have shown interest in both players. According to Perryman, the Dolphins will have a meeting and workout with him April 9-10. Walford also said he's meeting the Dolphins before the draft. 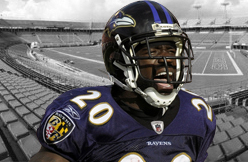 Former Ravens star free safety Ed Reed wrote on Twitter Wednesday that he has retired, but it was an April Fool's joke. "Just made it official!" Reed wrote on his official Twitter account. "Thank u guys for all the support! #reeeeedtired"
Reed later added: "I just got a call from a friend, I was in pool with my son got tired and decided those that support me should know first,done #twitterfool .. Love yall! #beastworkouttoday #couldleadtheNFLinInts"
Glenn Younes, the head of Reed's charitable foundation, later wrote on Twitter: "My bro just won the Internet it's quite amusing." If Reed does formally retire, that would clear a path for him to be inducted into the Ravens' Ring of Honor. The Ravens have said they want to induct Reed, but want him to be officially retired before they take steps to do so. Reed, 36, hasn't played in the NFL since the 2013 season. Reed is a 2004 NFL Defensive Player of the Year and a nine-time Pro Bowl selection. He intercepted nine passes in 2004. He was drafted in the first round by the Ravens in 2002 out of the University of Miami. 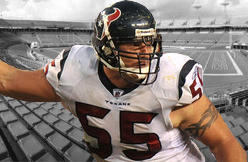 Reed played for the Houston Texans and New York Jets in 2013, but was out of the NFL last season and worked for Showtime on its Inside the NFL program. He played 11 seasons for the Ravens before signing with the Texans and then the Jets. 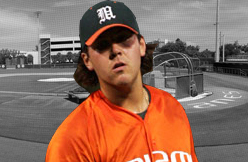 Reed was a consensus All-American in college at Miami. Reed scored 13 touchdowns with the Ravens on three blocked punts, one punt return, two fumble returns and seven interception returns. For his career, Reed had 64 interceptions, 643 tackles, 11 forced fumbles and six sacks. CORAL GABLES, Fla. – University of Miami running back Duke Johnson was all business during the school's annual pro day. Unlike many of his college teammates and draft counterparts, Johnson believed he had a lot to prove after not performing up to expectations at the NFL combine. He was most bothered by his 40-yard-dash time of 4.59 seconds in February. But Johnson ran faster Wednesday and met his personal expectations. He ran the 40 in 4.47, bench-pressed 225 pounds 18 times and caught the ball well out of the backfield. Despite a good day overall, Johnson was most happy about shaving time off his 40-yard dash. Johnson had a stellar career at Miami. He finished as the school’s all-time leading rusher at a position with a history of top stars such as Edgerrin James, Willis McGahee, Clinton Portis and Ottis Anderson. There are plenty of stats and game film to validate Johnson as one of the top tailback prospects in the draft. He is projected to go in the second or third round. But Johnson also did himself a favor by giving scouts one less thing to pick apart. According to the University of Miami’s athletic department, all 32 NFL teams were represented Wednesday. Mesa, Ariz. - Reliever Chris Perez, who was released on Sunday but re-signed a minor-league deal, worked out on the Brewers’ side of the complex Wednesday, packed his bag and headed over to the minor-league side. “There was no job in the big leagues,” Perez said of his decision to return after failing to make the Brewers’ roster as a non-roster player. “The last 48 hours, there’s been about 50 guys released. Everybody’s purging their rosters, so there’s not a job available right now. Because Perez was released, he did not receive a $100,000 retention bonus to be sent down. Instead of a $1.5 million big-league salary, he will be paid $25,000 a month in the minors. He has out clauses on May 1 and June 1 that allow him to leave if offered a job in the majors elsewhere. Perez joins what figures to be a loaded bullpen at Colorado Springs including Rob Wooten, Brandon Kintzler, Ariel Pena, David Goforth and Corey Knebel. As for piecing together a starting rotation there after the Brewers kept Tyler Thornburg and Michael Blazek, Roenicke said, "That's what they're trying to decide." CBS Sports Dane Brugler reports that Miami RB Duke Johnson (hamstring) is expected to be a full participant at Wednesday's pro day. In other words, Johnson intends to take part in all tests in addition to position drills. Priority No. 1 for the talented runner is improving upon his combine 40-yard dash after posting a disappointing 4.54 in Indianapolis. That number, of course, could have been affected by a right hamstring strain. Because of that injury, Johnson didn't run the shuttles or the three-cone drill at the combine. Expect all 32 teams to simply migrate south after taking in FSU's pro day on Thursday. They'll also check out OT Ereck Flowers, LB Denzel Perryman, TE Clive Walford, DE Anthony Chickillo, WR Phillip Dorsett, DB Ladarius Gunter and OL Jon Feliciano. ESPN's Mel Kiper believes Miami WR Phillip Dorsett is "safe because he's so much more than a sprinter out there, and he'll be a handful to cover wherever he is lined up." In a rather surprising opinion, Kiper listed Dorsett as one of the draft's 10 safest prospects. "He ran a 4.33 40 in Indy and also timed 6.70 in the three-cone drill, both notable because although he has speed to simply blow away cornerbacks who don't have plus-plus recovery speed, he also has the quickness to win in the slot and do major damage against zone coverages," Kiper wrote. "He lacks size but does a decent job on contested throws and has gotten a lot more consistent with his hands." If Dorsett gets out of the first round, Kiper sees him going in the first few picks in Round 2. 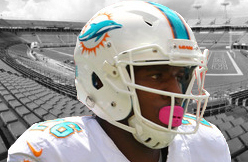 Is Lamar Miller Ready to Be the No. 1 Back for the Miami Dolphins? Lamar Miller's 97-yard touchdown run started off inconspicuously. The Miami Dolphins' third-year running back lined up to the left of quarterback Ryan Tannehill and went in motion behind Tannehill to the right. The ball was snapped, and a split second later, it was stuffed into Miller's midsection. Miller burst straight ahead through a gap in the New York Jets' front seven, cut to his right to avoid a defender and split the secondary by hitting the X button to accelerate. It only took Miller 13 seconds to clear an entire football field—he began that highlight-reel run from inside his own end zone—and to show the world exactly what the Dolphins hoped he would do when they drafted him in the fourth round of the 2012 NFL draft. But one cannot prove himself to be a workhorse in a quarter of a minute, and therein lies the biggest question facing both Miller and the Dolphins this offseason. The Dolphins do not have a stocked cupboard of proven talent on their running back depth chart, instead sporting a short list of inexperienced high-upside prospects. On one hand, the constitution of their stable of backs is indicative of their evolving offensive philosophy, which focuses on a precision passing game to move the ball downfield with efficiency through high-percentage plays. On the other hand, the harrowing fact is that the Dolphins are an injury away from having nowhere to turn when Tannehill needs to turn around and hand it off. That's especially concerning considering the consternation over Tannehill's development and progression from a second-rate quarterback to a franchise signal-caller. He's made that progress slowly over the course of his career, but entering the fourth year of his rookie deal—and with the Dolphins facing a big decision over whether to exercise the fifth-year option in his contract—it's time for the Dolphins' passer to fish or cut bait, and it's time for the organization to do the same with regards to Tannehill. Independent of that inquietude, the Dolphins must ask themselves whether Miller has what it takes to be the focal point of their running game to take as much pressure off Tannehill as possible. Miller has most of the skills he will need to be a bellcow, with versatility to play both in the running game and in the passing game as well as the kind of home run potential that forces linebackers and safeties to respect the run, thereby helping the Dolphins execute their offense by opening up the short and intermediate windows in the passing game. He has also been serviceable in pass protection, though he could stand to improve. He ranked 30th out of 62 running backs in Pro Football Focus' pass-blocking efficiency in 2014, after ranking 14th out of 54 in 2013. Where Miller struggles most is running between the tackles. The Dolphins know that they need to find someone who excels at taking the ball into a pile of people and still gaining positive yards. "Yeah, that's something that we're always looking to do and bring those types of guys in,"â€ˆDolphins general manager Dennis Hickey said when asked whether his team would be looking to the draft for the thunder to complement Miller's lightning. "We're always looking at whatever avenues we can to bring in better players." Assuming Miller can't pick up short yardage is just lazy. In 2014, the Dolphins converted 11 out of 15 (73.3 percent) of their 3rd-and-1 rush attempts for either a first down or a touchdown (10th in the league), with Miller picking up nine of his 10 tries on 3rd-and-1. They converted 26 out of 35 (74.3 percent) of all runs with one yard remaining for a first down (eighth in the NFL), and Miller moved the chains on 18 of his 21 tries with one yard to go. With three yards or less to go, the number dips to a modest 63.6 percent—42 out of 66, 16th in the NFL. Miller was successful on 25 of his 40 rush attempts with three yards or fewer to go. Even still, it would be nice to have an extra back to absorb that punishment so Miller doesn't have to. The Dolphins could use to round out their depth chart, but that's not the question. The bigger question is consistency. Despite carrying the ball 216 times (15th in the NFL, 13.5 per game), Miller picked up more than 100 rushing yards in a game on only two occasions and more than 70 yards on only five occasions in 2015. That was despite being the Dolphins' leading rusher by a whopping 160 carries more than their second-leading rusher: their quarterback. Forty-four carries for veteran Daniel Thomas generated 168 yards, and 36 carries for Damien Williams yielded 122 yards, barely putting a dent in the Dolphins' offensive production. Miller could be asked to carry the ball upwards of 250 times in 2015, so the Dolphins may want to draft a between-the-tackles hammer simply to avoid an ignominous fate in short-yardage situations. The hallmark of so many finesse teams is their ability to kill you with a thousand paper cuts, but their weakness is the inability to wield the heavy artillery it takes to finish the job when papercuts cannot. We've already seen that Miller has the potential to be the focal point of a rushing attack, but as his role increases, so does the spotlight—and so does the amount of tape which opponents can study to exploit his weaknesses. Miller will continue to make life difficult for opposing defenses, but he needs to become more consistent in the face of more touches in order to be more than just a complementary piece to the passing game. 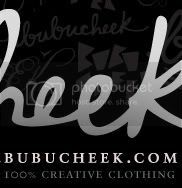 Former University of Miami football star Phillip Buchanon admits he was “young and stupid” during the early part of his 10-year career in the National Football League. Part of that immaturity, he says, was giving away money and materialistic things to family and friends. That included a 2002 Oakland Raiders AFC Championship ring he gave to his agent, Boris Banks. And now that ring may be gone for good. Banks lost it March 19 when he left it in a small black bag on the top of his SUV at a Delray Beach gas station. Banks, who said he was rushing to pick up and take a client — former USF player Chris Dunkley — to the airport, didn’t realize it until he stopped to pick up Dunkley. The ring, along with other personal items, were lost in the area near Linton Boulevard and Congress Ave.
Delray Beach Police Detective Oscar Leon said he also searched but came up empty. Buchanon, 34, said he wasn’t aware that Banks had lost the ring, but did remember giving it to him in 2003. Banks said he was planning to tell Buchanon he lost the ring. The ring honored the Raiders’ 41-24 victory against the Tennessee Titans, which put them in the Super Bowl, where they lost to Tampa Bay. 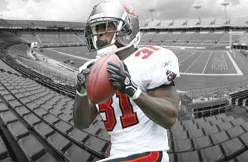 Buchanon said when he came into the league, he was “throwing around a lot of money and things” and that by the time he was traded to the Houston Texans in 2005, his spending was out of control. The low point, he said, was in 2006, when he was robbed of $20,000 at gunpoint in Atlanta. He said he stopped giving things away, especially money. After the NFL, while completing his degree at UM, his aunt and some professors urged him to write a book about fiscal responsibility for those who come into big money at a young age. At UM, Buchanon, a cornerback, earned All-American honors as a returner during his junior year. Buchanon was part of the 2001 University of Miami team that won the national championship in the Rose Bowl against Nebraska including seven starting defensive players who were NFL No. 1 draft picks: Buchanon, Mike Rumph, Edward Reed, Jonathan Vilma, D.J. Williams, William Joseph and Jerome McDougle. Buchanon was drafted by the Raiders 17th overall that year. He spent three seasons with Oakland, recording 122 tackles and 11 interceptions, before later playing with Houston, Tampa Bay, Detroit and Washington. He retired in 2010. There is a $500 reward for the lost ring. Anyone with information on the ring or Banks’ bag of personal belongings is urged to contact Detective Oscar Leon at (561) 243-7868. The Final Four is coming to Indianapolis this weekend, and that means the eyes of the college basketball world will be focused on Indianapolis over the coming days. The event is much more than just three games, however, as there will be other events taking place to celebrate the festivities, including a three--point contest and a dunk contest. Both events will be held in historic Hinkle Fieldhouse (the home of the Butler Bulldogs) this Thursday night, April 2, and will be broadcast live on ESPN at 7:00 p.m. ET. While the event will have an Indiana-feel regardless due to the fact that it's at Hinkle, the judges of the slam dunk contest will also be very recognizable names in Indiana and to Colts fans. Star Indianapolis Colts wide receiver T.Y. Hilton and former Colts wide receiver Reggie Wayne are among the four judges for the event. In addition to being great wide receivers on the field, both are basketball fans and like to have fun, which will make Thursday night's event even better. There will be a few Indiana players participating in the contests, too. In the slam dunk contest, Purdue's Jon Octeus will be competing, while Butler's Alex Barlow and Notre Dame's Pat Connaughton will be competing in the three point contest. You can read the full list of participants here. So while there are no Indiana teams in the Final Four this year, that doesn't mean there won't be Indiana influence this weekend. Indianapolis is hosting the festivities, while two very notable Colts players will be judges for the slam dunk contest and three Indiana players will be competing in the two contests on Thursday night. 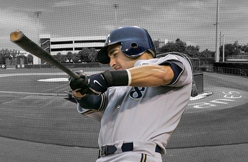 Brewers manager Ron Roenicke reiterated that outfielder Ryan Braun's thumb is no longer a concern. He told reporters that all systems are go with Braun heading into the start of the season, per the Milwaukee Journal Sentinel. Braun is hitting .323 with two homers and six RBI this spring. One day after releasing right-hander Chris Perez the Brewers have re-signed the former All-Star closer to another minor-league contract, which basically means they temporarily parted ways in order for the team to avoid paying the $100,000 veteran retention bonus attached to such deals. Perez looks like a shell of his former self despite being just 29 years old, posting a 4.27 ERA and 39/25 K/BB ratio in 46 innings for the Dodgers as a middle reliever last season. He has a good chance of returning to the majors at some point, but it likely won’t be in a late-inning role and he’ll have to prove himself at Triple-A first. INDIANAPOLIS -- Speed on the outside at receiver shouldn't be a problem for the Indianapolis Colts because they've got T.Y. Hilton and Donte Moncrief. What they need -- and missed at the end of last season -- is an underneath receiver. 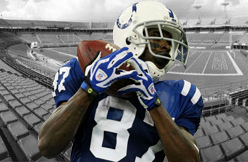 That's where new Colts receiver Andre Johnson comes into play. What Johnson has in his favor is his size. His 6-foot-3 frame gives quarterback Andrew Luck a big target to throw to. "He's a big body guy that can still separate, create separation," Colts coach Chuck Pagano said. "He's got a big catch radius. But again, the contested catches that you see on tape. It's very difficult to match up. There are few corners in the league that have length and size to match up but most are aren't on that size and they get pushed around a little bit. He's going to be able to bring that big, physical presence to us." Johnson, who signed with the Colts after being released by the Houston Texans earlier this month, has 13,597 yards and 64 touchdowns in his career. What impressed the Colts' coaching staff and front office is Johnson's ability to still go after the ball no matter who is throwing it. Johnson's 936 receiving yards last season were the lowest of his career when playing at least 13 games since having only 688 receiving yards in 2005. Having Hilton, Moncrief and possibly Duron Carter to help out should ease Johnson's load, which is why it's not necessary for him to be the top receiver like he was throughout his career with the Texans. The Colts also have tight ends Dwayne Allen and Coby Fleener, who combined to catch 16 touchdowns last season. "You don't see a huge dropoff numbers-wise," Pagano said. "Maybe in touchdowns. But you still see a guy who is more than capable of stretching the defense. 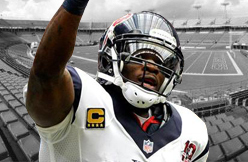 Certainly somebody who an opponent can't just line up and say, 'Don't worry about Andre Johnson.' They're still going to have to tend to him if you will. If they choose to double [Hilton] and take him out of the game, you have another guy on the other side, along with the rest of the guys on the roster who can still stretch the defense. He's a big, possession type guy. He makes contested catches in traffic. He's got a big catch radius. A big body. Those guys are hard to defend." The Seahawks traded last year’s starting center Max Unger to the Saints in the deal for tight end Jimmy Graham and they’re visiting with a potential replacement on Monday. PFT has learned, via a league source, that Chris Myers is in Seattle for a visit. Myers was released by the Texans earlier this month. Myers started every game for the Texans over the last seven seasons and has drawn reports of interest from other teams looking for a center without landing a new deal. The Seahawks have also been linked with former Raiders center Stefan Wisniewski, although Wisniewski’s offseason shoulder surgery makes him somewhat riskier as a plan for the starting job in 2015. Signing Myers would give them a veteran option to use in the event that they can’t find a better one in the draft, which is something Seattle would still need to explore with Myers’s age making him a short-term solution at best. The Titans added depth — and a familiar face — in the secondary Friday by signing cornerback Brandon Harris to a one-year deal. Harris joined the Titans in August after being claimed off waivers from the Houston Texans. He played in 11 games for the Titans in 2014, recording nine tackles, three passes defensed and two special teams stops. Harris spent the first three years of his career with the Texans, where he played in 31 games. In his NFL career, Harris has registered 42 games played, 42 stops and 10 passes defensed. Earlier this offseason, the Titans signed former 49ers cornerback Perrish Cox. Two years ago, the Texans gave $5 million in guaranteed money to an 11-year veteran defender who had just won a Super Bowl. It didn’t work out. This year, the Texans once again gave $5 million in guaranteed money to an 11-year veteran defender who had just won a Super Bowl. Some wonder whether it will work out. Obviously, owner Bob McNair believes Vince Wilfork won’t be another Ed Reed. Otherwise, the Texans wouldn’t have taken a chance on a player that Patriots coach Bill Belichick opted to not keep around. So what’s the difference between Reed and Wilfork? The notion that old guys are more likely to lose speed than strength seems a little simplistic. Plenty of fast guys retain their speed well into their 30s. Plenty of strong guys lose their strength well before turning 40. 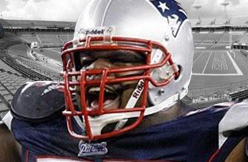 The biggest difference between Reed and Wilfork is that Reed was damaged goods when he signed with the Texans. The Texans didn’t notice that Reed needed hip surgery when giving him a passing grade on his physical. So it’s less embarrassing for the Texans to distinguish Reed and Wilfork based on the speed vs. strength of older players, and not to remind everyone that whoever gave Reed a clean bill of health in 2013 made a major mistake. Ultimately, Reed’s short stay in Houston had a lot more to do with the hip problem the team didn’t spot than an age-related reduction in his speed. The latest reported pre-draft visit is going to add to the confusion of team's wondering what the Cleveland Browns will do in the first round of April's NFL Draft. According to WalterFootball, the Browns are planning to visit Miami offensive tackle Ereck Flowers. The Miami native is expected to be taken in the first round. The junior is also receiving interest from the Chargers, Buccaneers, Saints, Colts, Panthers and Falcons according to the report. Flowers is unlikely a candidate for the Browns selection at No. 12. He could be at pick No. 19, however. Offensive tackle is one of the positions that the franchise could conceivably take. Defensive tackle, outside linebacker, quarterback, wide receiver and tight end are also considered positions of need. In the past, reports have stated that Cleveland's primary target to take over the right tackle position is LSU's La'el Collins. Mitchell Schwartz is the incumbent starter at the position but he has underwhelmed and is entering the final year of his rookie contract. Michael Bowie is also expected to get a long look after returning from an injury. The graffiti mural honoring former Redskins safety Sean Taylor at the Brookland Metro station has been restored. The original piece, painted by a D.C. graffiti artist who goes by the name Cert after Taylor was killed in a home invasion in November 2007, was defaced earlier this week. The updated piece looks virtually similar to the original, with a new yellow background and the message “D.C. Loves You” beneath the No. 21. The artist(s) responsible for restoring the piece tagged it with the names Ser, Nehi, Kuthe and Cert. Someone left a bouquet of flowers along the wall. 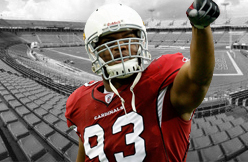 But Arizona Cardinals coach Bruce Arians thinks Campbell, who has amassed 43.5 sacks in seven NFL seasons, can be even better. "I'd like to see a more consistent player out of him," Arians said Wednesday at the NFC Coaches Breakfast at the annual NFL Meetings. "He went to the Pro Bowl, but I still think he's not even scratched his consistent level of play. "He disappears too much. I told him that the other day, you can't disappear in games anymore. You've got to be dominant the whole game." Though Campbell finished the season with three sacks, he tracked down the quarterback in just four different games. Three of his seven came in Seattle, a game where afterwards Arians said the defensive lineman could have had a couple more sacks. But as Campbell, a second-round pick out of Miami in 2008, heads into his eighth season, he does so as a player who has been recognized as being one of the best at his position in the NFL. As a Pro Bowler, he got to spend time talking with -- and learning from -- some of the game's greatest players. The confidence that comes from being in that setting could lead to a different Campbell next season. Arians, for one, is hoping it does. "I only saw him for a minute…you automatically see swagger in a guy as he changes," the coach said. "Haven't been around him enough to see it to know. But I would hope -- saw it in Justin Bethel, especially the second time because he's been around rehabbing a lot. I've seen a little bit of it in Calais just the other day, but I want to see it on the field." 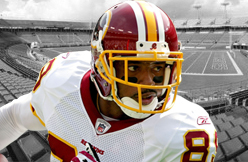 PHOENIX — If the Washington Redskins decide to bring back venerated wide receiver Santana Moss, it likely won’t be until mid-summer. Moss’ contract with the Redskins expired earlier this month, making him an unrestricted free agent. Relegated to a reserve role in 2014, Moss played in just 10 games and had only 10 catches — his fewest in each category since his rookie season with the New York Jets in 2001. He was healthy, but inactive, until a Week 6 loss at Arizona, and he didn’t catch his first pass until a Week 13 loss at Indianapolis. All told, Moss played just 131 snaps on offense, roughly 12 percent of the team’s total. Moss, who turns 36 on June 1, has played 10 of his 14 seasons in Washington, where he ranks third all-time in receptions, fourth in receiving yards and seventh in receiving touchdowns. He returned to the Redskins a year ago on a one-year contract for $955,000, the minimum for veterans with at least 10 years of experience, and it appeared likely the season would serve as a farewell tour, of sorts, for the wide receiver. But Moss, who hasn’t been reached for comment since the season ended, said in December that he believes he can still play at a sufficient level and will do so if he can find the right opportunity. If he can’t, he’ll simply walk away. The Redskins have four wide receivers under contract who finished last season on the active roster — Pierre Garçon, DeSean Jackson, Andre Roberts and Ryan Grant — and Gruden remains committed to developing Grant, a fifth-round pick out of Tulane last summer who had seven catches during his rookie season. Offseason workouts will begin April 20, and if there’s still a glaring need for a reliable, veteran slot receiver when the program ends in mid-June, the door could be open for Moss. Chris Perez's bid to recapture his form as an All-Star closer may still come true, but it won't happen in Milwaukee. The Brewers released the two-time all-star Sunday, a month after signing the 29-year-old right-hander, nicknamed “Pure Rage,” to a minor-league deal. He pitched well this spring, with a 2.70 ERA in 10 games, but the Brewers wanted to send him to the minors. Perez told the Milwaukee Journal-Sentinel that is not an option. "That's not my first choice," Perez said. "I think we would want to look around. I'm healthy; I'm throwing the ball well. I have a pretty good track record. I know I belong up here and can get outs up here." 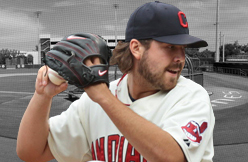 Perez enjoyed a great four-year run as the Indians closer, averaging 31 saves from 2010-2013 and making All-Star appearances in 2011 and 2012. But his 2013 season ended on a sour note, with a rash of blown saves, and an arrest for marijuana possession. Perez who had roughly a third of a pound of marijuana delivered to his house — addressed to his dog — pleaded no contest to the charges and received one year of probation. The Indians released Perez after the 2013 season. Joining the Dodgers for 2014, he posted a 4.27 ERA with one save in 49 appearances. PHOENIX (AP) — Ryan Braun extended his torrid stretch with two more hits and two RBIs for the Milwaukee Brewers in a 3-2 loss to the Cleveland Indians on Saturday. After an 0-for-12 start this spring, Braun has 10 hits in his last 19 at-bats (.526) and is hitting .323 in Cactus League play. He had both hits against Cleveland starter Zach McAllister, who struck out nine in five innings. "Their guy was throwing really hard and (Braun) squares it up and the ball was really taking off," Milwaukee manager Ron Roenicke said. "He looks good. We need to keep him where he is now and hopefully he can maintain that." Indians second baseman Jason Kipnis, who recently missed seven games with back spasms, hit a two-run homer in the second inning. Cleveland scored the go-ahead run on a force play in the eighth. The Brewers had scored 91 runs in the last 11 games, hitting .353 as a team. But Braun provided all the offense Saturday with an RBI double in the first and a run-scoring single in the fifth. McAllister made a strong bid for a rotation spot, striking out five consecutive hitters in the second and third innings, and two more in the fifth. He allowed six hits. "He had real good velocity and he held it through his last inning," Cleveland manager Terry Francona said. "He also threw some good off-speed pitches. That was impressive but he's been good all spring. McAllister was matched by Milwaukee starter Wily Peralta, who continued an impressive spring with six innings of two-run, six-hit ball.